Strensham is a hamlet lying on the borders of Gloucestershire and Worcestershire. It consists of Upper and Lower Strensham which have a combined population of just over 300 and are adjacent to the hamlets and villages of Twyning, Norton, Ryall, Defford, Eckington, Hill End, and Showborough. It is bordered by the River Avon on its route from Evesham and Pershore to Tewkesbury, where it joins with the River Severn. Running between the sections of the village is the M5 motorway and on our south-eastern border is it's junction with the M50. The village is probably best known for the M5 service stations on the Northbound and Southbound carriageways. The Northbound has the largest forecourt in Europe and would be ideally placed for fuelling our vehicles if it did not suffer from the motorway malaise of significantly inflating all fuel prices (typically 5-6p/litre more than from other garages in the area). For those using local roads. Take A38 between Tewkesbury and Worcester. At Ryall, turn next to 'The Bluebell' - signed for Strensham. Follow road for approx. 2 miles to the end. At T-junction turn right for Upper Strensham or left to Lower Strensham. 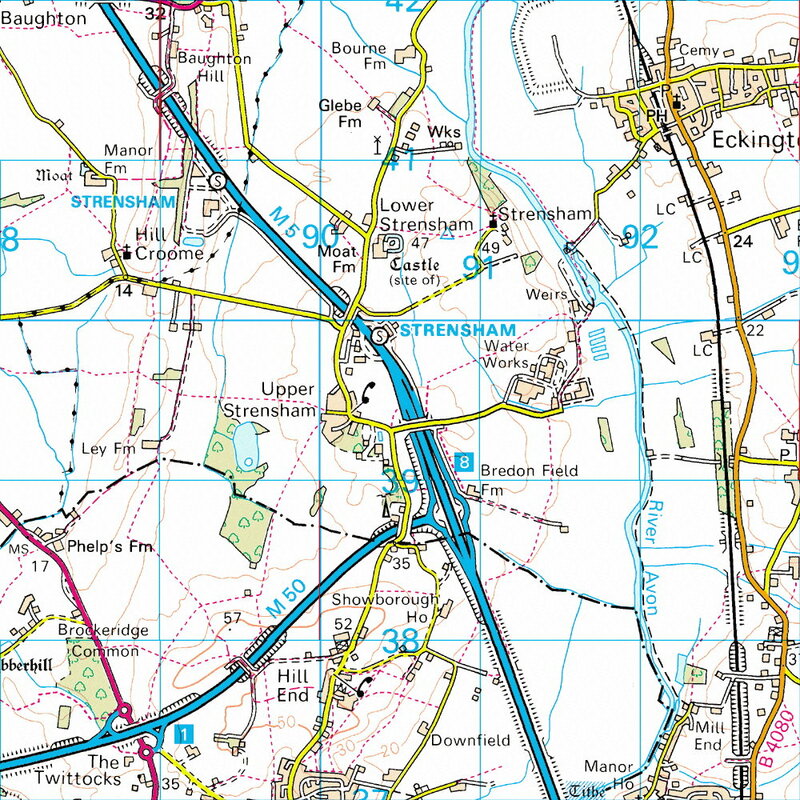 To visit Strensham and the church, turn left and then right immediately after crossing over the motorway. Or, take road between Pershore and Upton-on-Severn. On Upton side of Defford take road signed for Strensham. This will lead you through Lower Strensham and across the motorway into Upper Strensham. From this direction Strensham and the church are reached by turning left just before the motorway bridge.